Kontakt.io is digitalizing the physical world. Our Bluetooth beacons and infrastructure management tools help businesses build context-rich applications to improve customer experience. On top of that, we provide the technology needed to optimize resources and get more out of assets and real time location systems. 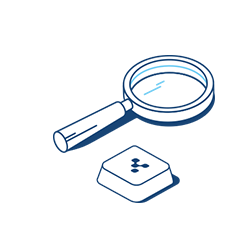 Our Bluetooth tags, Gateway, and Location Engine provide location information, laying the foundation for industrial applications that improve operations, security, and compliance. These tools will drive new solutions and success in next-gen IoT. It all starts with the hardware, so you need it to work flawlessly. 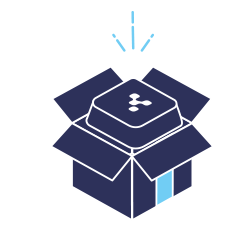 With Kontakt.io, you can be 100% sure your beacons will work straight out of the box and maintain their award-winning performance for longer than others. Get the best out of your beacon deployments with cloud-based tools designed to make infrastructure management easier. Using our fully-documented API, SDKs, and robust software is your best way to develop, deploy, and scale. Kontakt.io Secure is the only complete suite of technology that keeps your proximity infrastructure safe from any beacon-related attacks. With Kontakt.io Secure you can be sure your fleet always works the way you planned and the only person that controls it is you. Some problems require a unique approach. If you’re looking for custom hardware, firmware, software, or exceptional support and delivery services, we’re here to help. Learn and get inspired by great use cases and success stories of companies that use beacons and proximity in retail, museums, hospitality, schools, and more! Ready to get proximity and Kontakt.io to work for you and your business? Order your beacons and see how all of these work in real-world deployments!